1 - Introduction to Gaming AI 2 - AI in Games - State Machines 3 - AI in Games - The Planning System 4 - AI in Games - All Terrain 5 - AI in Games - Lie of the Land 6 - AI in Games - Destructible Environments 7 - AI in Games - Hardware Acceleration? 8 - AI in Games - Where Next? You probably don’t think that the average rabbit is particularly intelligent. They generally like eating grass, hopping around and digging holes. How complicated could such a small animal be? Well, in early 2008, IBM embarked on a project to digitally simulate the cerebral cortex of such a small mammal at the Thomas J Watson Research Center. The test used 8,192 processors and 2.8TB of memory on the Blue Gene-L supercomputer to simulate the 22 million neurons and 11 billion synapses found in the16cm2 cortical surface of a rabbit’s brain. Simulating even primitive intelligence is extremely demanding, so how does a basic PC go about simulating human intelligence in multiple game characters at once? Gaming AI is in many ways similar to 3D graphics rasterisation, which uses complex trickery such as shaders and textures to give the impression of real light and shadow. If you were to properly ray trace a 3D scene in a game, as you would in a CGI movie, it would take considerably more processing power, and the same applies to AI. Empire Total War features thousands of men on screen at once. All need to have a degree of intelligence to make the game playable. 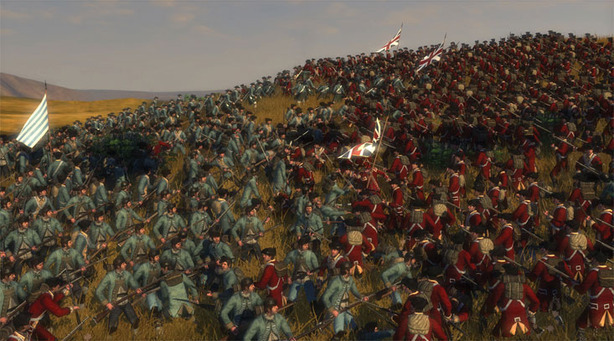 Creative Assembly’s AI programmer, Richard Bull, who masterminded the battle AI system in Empire: Total War explains that "the AI academics are your wizards and we’re your stage magicians – it’s all smoke and mirrors with game AI. "We’re trying to give you the perception of reality, and often we therefore look like we’ve got systems that are much more impressive than anything the academics can create, and we’re not doing anything more intelligent. In fact, in most cases, we’re not – what we’re doing is giving the perception of the AI being much cleverer than it actually is." When an enemy in F.E.A.R. kicks you as you move closer and then dives through an open window, it gives you the impression that it’s a real human character wanting to kill you and survive, but all it’s really doing is responding to a computer program and using the right animations at the right time. Unwrapping gaming AI is rather like watching the camera zoom out to reveal Frank Oz controlling Miss Piggy; it’s disappointing at first, but becomes incredible when you see the amount of work that goes into the puppetry. How's that for a dystopic headline? Claims to beat Google's TensorFlow.